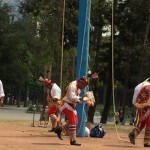 Outside the Anthropology Museum in Mexico City, the sound of flute and drums drew us to a grassy park where Toltec pole dancers were performing a vision quest. 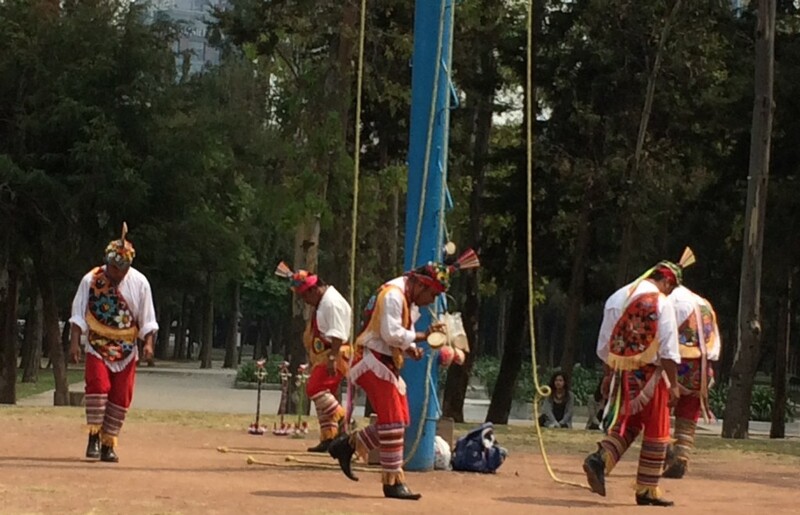 Five men wearing brightly colored indigenous clothing circled a very tall pole, heads bowed in prayer. 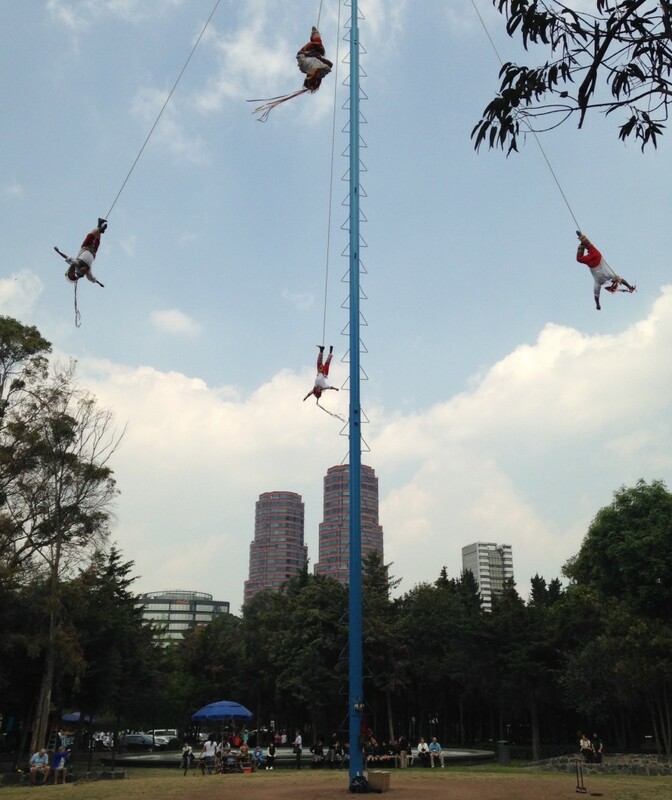 After five or ten minutes of this, four men each tied the end of a very long rope around one ankle and climbed the rungs on the metal pole, which was topped with a horizontal wheel-like structure. At the top, the fifth man started to spin the big wheel and the other four men flung themselves outward, hanging from one leg. We could see four bodies flying, round and round, arms extended. Meanwhile, the fifth man controlled the speed of the wheel, as well as the dancer’s gradual descent, by lengthening the ropes until the dancers again touched ground. With all that blood rushing to my head, I think I’d see a vision, too. During it all, indigenous hawkers sold trinkets and small jugs of pure vanilla to the spectators. I bought one and got it home in my luggage without leaking. I’ll tell you later how it tasted!